The wrapper is so beautiful, I had to check out this tea. Menghai Dayi is one of the inventors of the wo dui (wet pilefermentation) process for ripe puerh and they know their business! Even though it is young, the soup has a wonderful smooth and thick mouthfeel, sweet and silky, with notes of chocolate, dried fruit (prune and persimmon) and a hint of ripe peach on the finish. It is ready to enjoy now but has a nice structure that will develop over time. 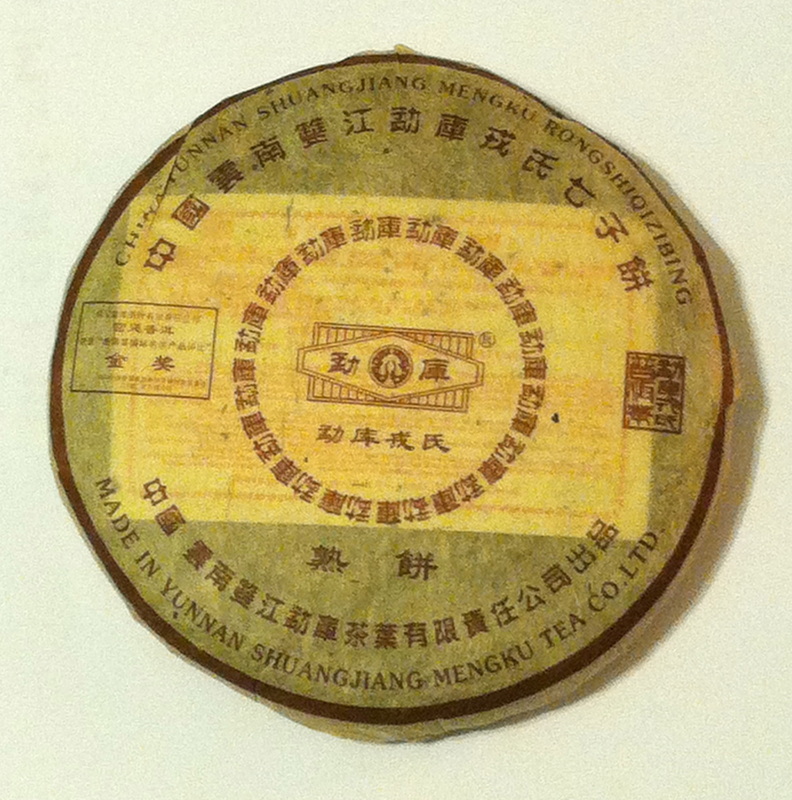 Bulang Mountain teas are known for their big, bold, kick-down-the door characteristics and this is no exception. The cake is laden with plenty of golden tips that lend a sweet expansiveness. Dark brown/burgundy tea soup, thick texture, pungent, with pepper, dark chocolate and brown sugar notes that seep into the palate. Fu Hai Tea Factory of Menghai is one of Yunnan's oldest producers of ripe puerh. 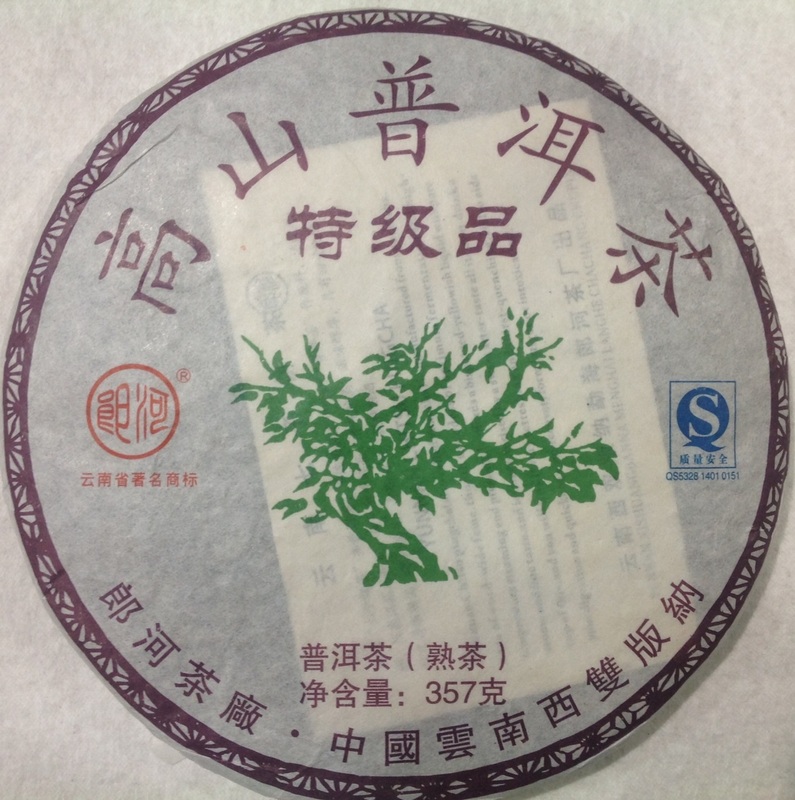 Known for its lighter fermentation style which allows the "green" character of the leaf to lend a complexity and structure to the tea as it ages. 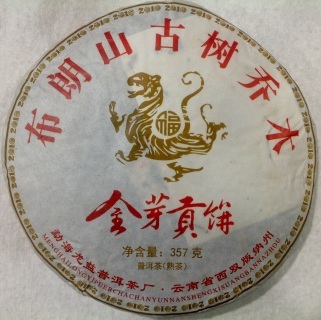 The ripe 7576 recipe is thick in the mouth, slightly bitter with rich notes of tobacco, making this a unique offering that will expand your experience of ripe puerh beyond the usual. A fantastic tea. Nan Jian Tu Lin tea factory is known for its proprietary blends that are balanced and easy to drink. 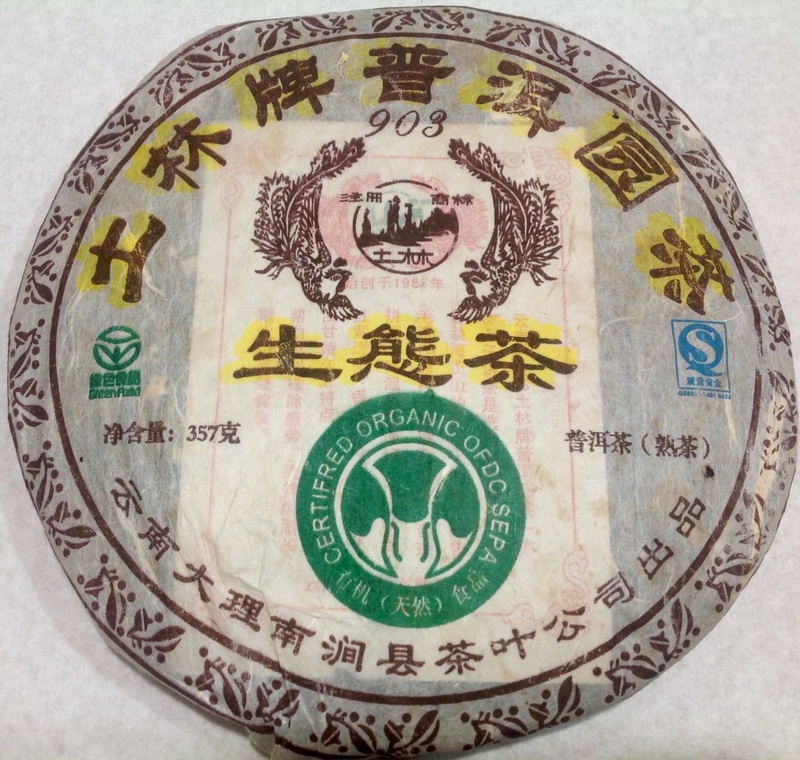 All the materials in this certified organic cake are from Wu Liang mountain. 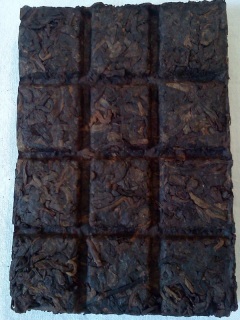 Medium bodied, silky, earthy and sweet! All that and a nice easy cha qi make for lovely everyday tea. 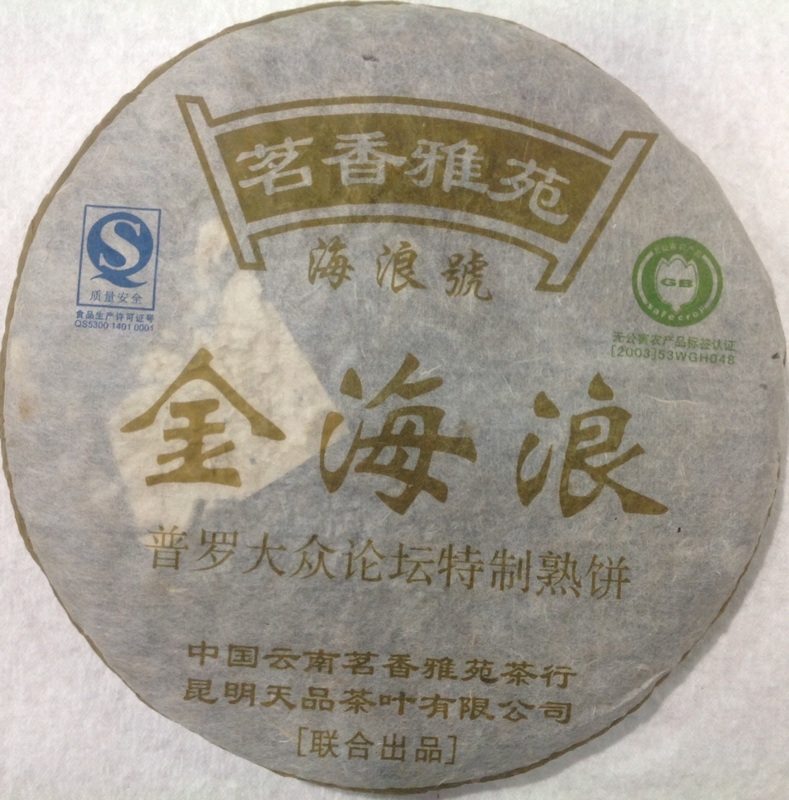 This semi-aged ripe cake is made with large leaf, big tree materials, medium fermentation, producing a light, clean and clear brown soup, sweet and silky, with "chen xiang" or old aroma, jujube and root notes. Not unlike an aged raw puerh, perhaps. Something different in our lineup and very enjoyable. 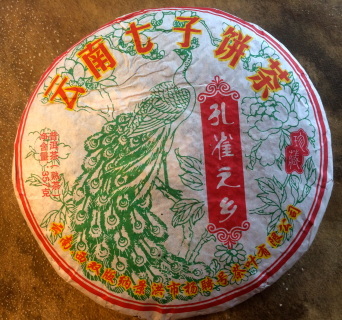 If we had to pick one ripe puerh to live with for a while, this would be near the top of the list. 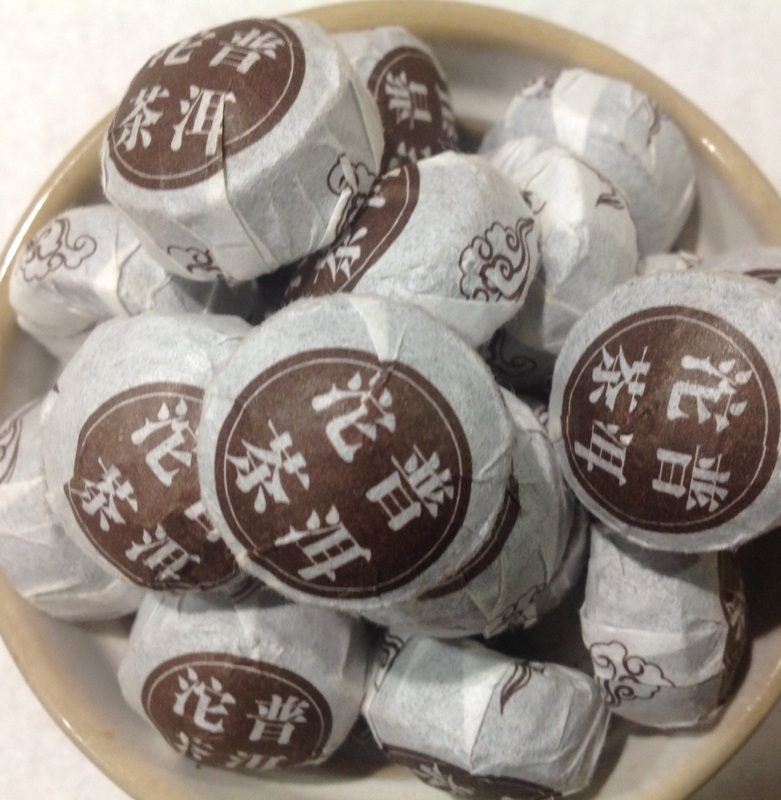 Aromatic, sweet, thick – with that special fungal earthiness, all there is to love about a Menghai tea is here. 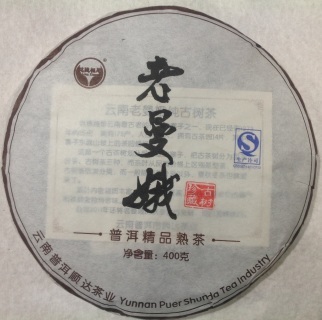 A very well crafted, balanced shou that will give you that comforting feeling. 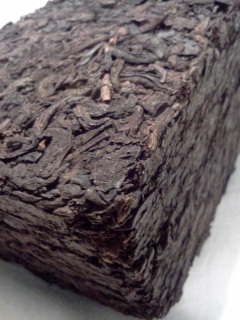 A stellar, ultra premium, Ancient Tree Spring flush cake from Mengsong that is almost perfect (is perfect?). Silky and creamy mouthfeel with nice dried fruit notes, wood structure, and balanced sweetness. We call it "The Cadillac". Lao Man E is next door to the very famous Lao Banzhang village and produces some very fine teas in its own right. 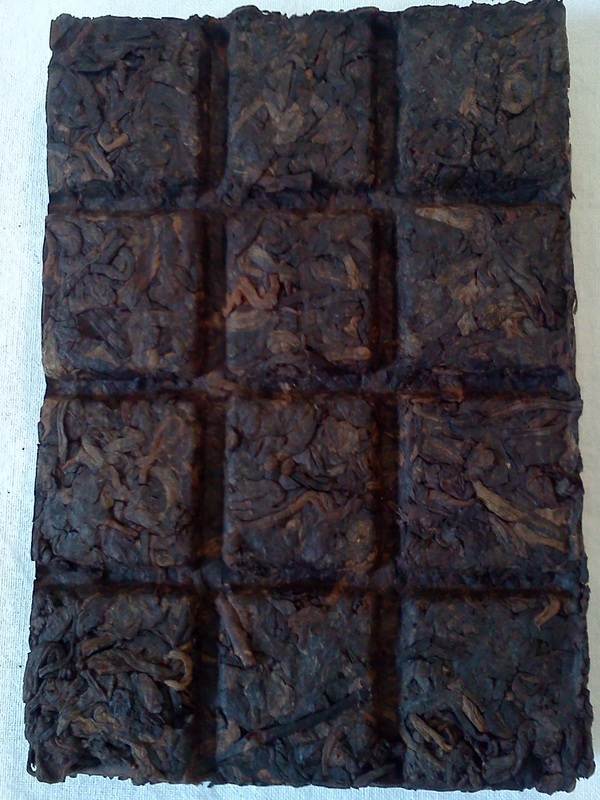 This is an unblended, single origin, Spring production from high quality, big old tree, raw materials that are usually reserved for raw cakes. Seductively, silky smooth, big rounded texture and rich, chocolaty notes. Another premium production from Yunnan Shunda TC. This superfine, medium-aged, ripe puerh from Menghai's Yang Pin Hao TF is notable for its balanced, silky smooth texture, and maple sweet, camphor and woodsy notes. As elegant as a peacock. 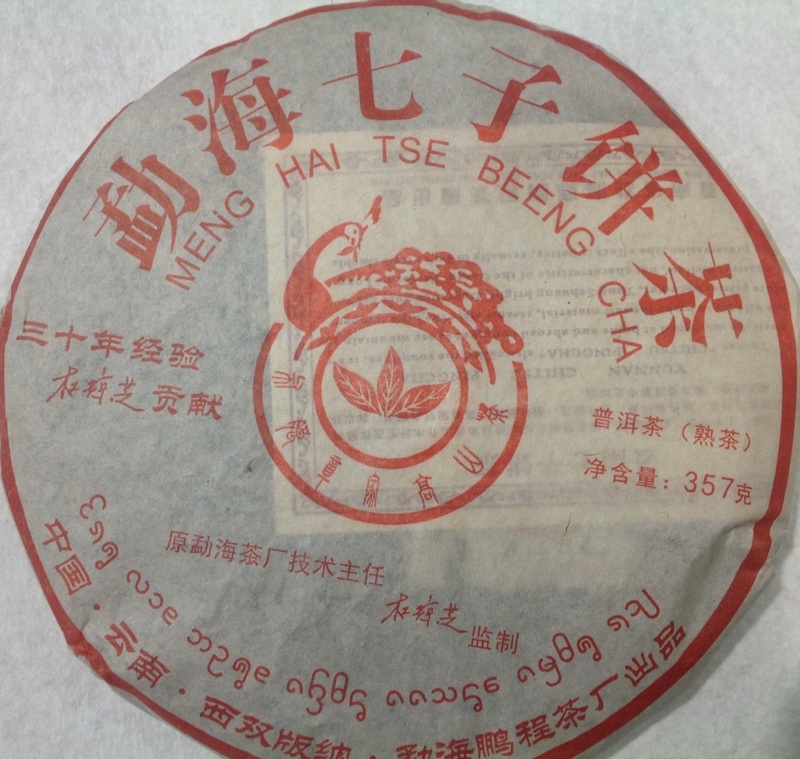 From Lincang's famous Shuangjian Mengku Tea Factory, this lovely gold medal Gong Ting or Imperial Grade (smallest leaf) tea cake brews up a ruby red, thick, tea soup with an unique, savory-sweet taste profile. While Menghai teas are known for their aroma and sweetness, ripe Mengku teas tend to be a bit dryer with dark chocolate notes, heavy in texture and smooth. Made with Gongting, or palace grade, old arbor tree materials. Sweet, mellow, and creamy with nice wood flavors. Excellent. Langhe Tea Factory is famous for it high quality ripe puerh teas. Sweet, chocolate notes, high fragrance and thick, creamy texture, make this a highly enjoyable tea. 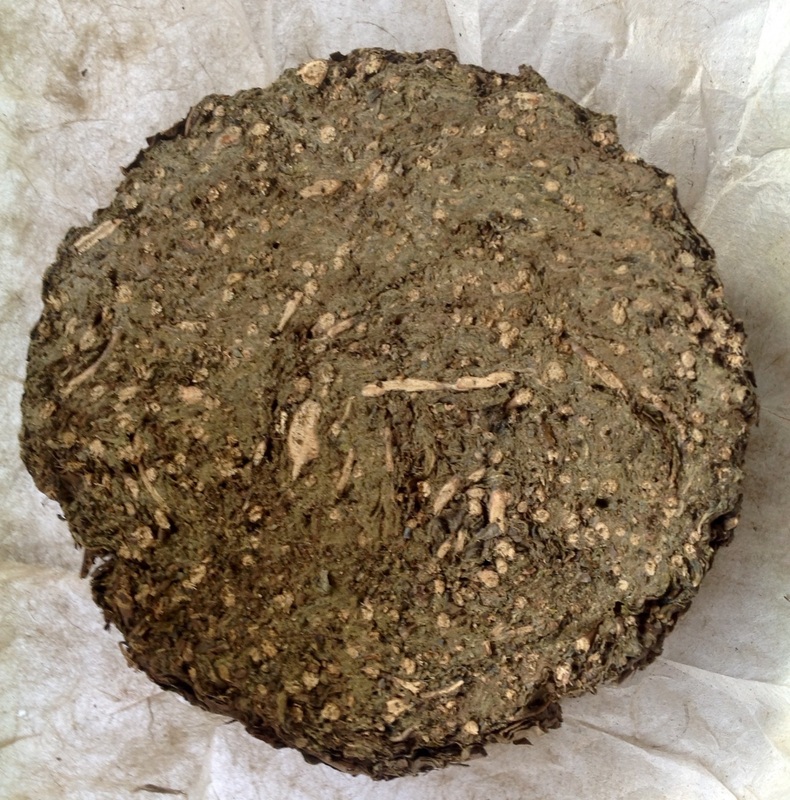 Even though it is a younger puerh, there is virtually no du wei or fermentation funk present. Hai Lang's 2006 Gold Recipe cake is composed of ultra premium Menghai materials, lightly fermented in small batches, somewhat reminiscent of an aged raw puerh. Rich in flavor and texture with light vanilla and woodsy notes. 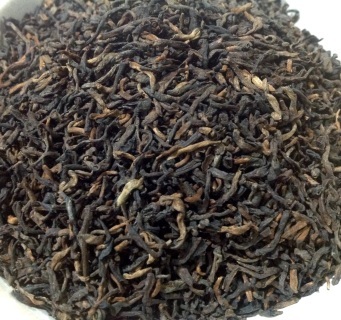 A little different that the heavier fermented ripe puerhs on our site; a master's tea to contemplate! 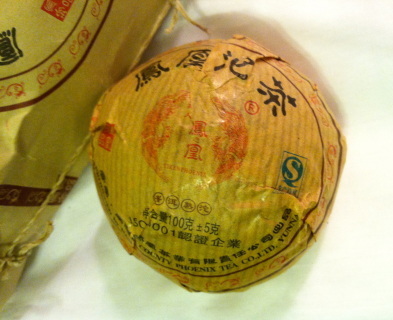 A rare ripe puerh made from Spring flush Ancient Tree Xishuangbanna material. Rich, layered, and chocolatey, with superior silky texture and sweet floral and fruit notes in middle steepings. An elegant beauty that will impress cup after cup. 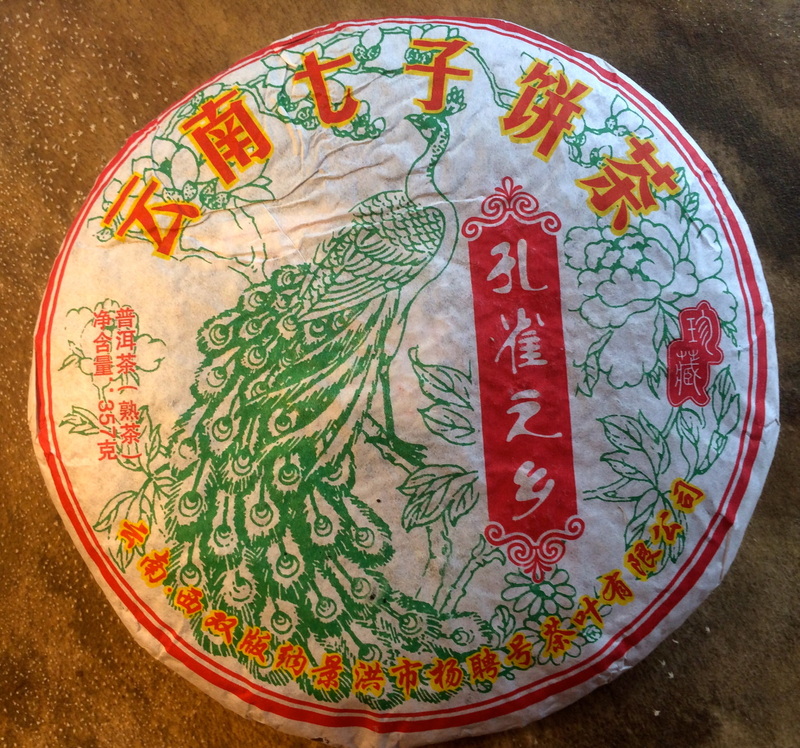 Who says a young, inexpensive, ripe puerh can't be a great tea? 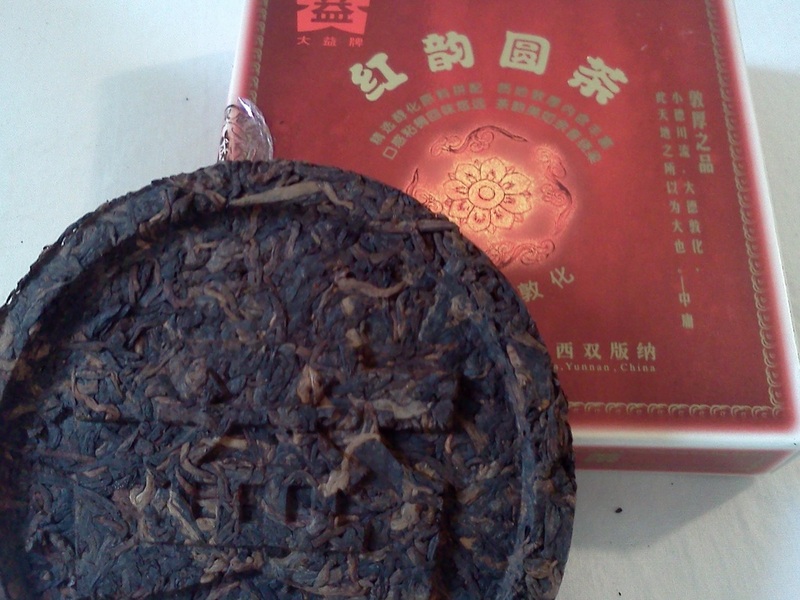 This lusty shou puerh is made from Big Old Tree, Gong ting grade leaves. Super rich and aromatic, earthy and sweet, and stacked with structure due to the quality of tea and craftsmanship. Two thumbs up! This lovely little ripe "Palace Grade' mini cake is made from Mengku materials and won a Gold Medal for its superb craftmanship. 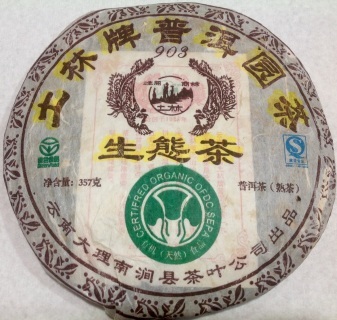 Camphor and sugarcane notes are highlighted as eight years of age delivers smooth, sweet and balanced earth flavors. From our Rare and Wild Collection. Earthy and sweet with underlying jujube notes. A bit more earthy than our 18year Purple brick . 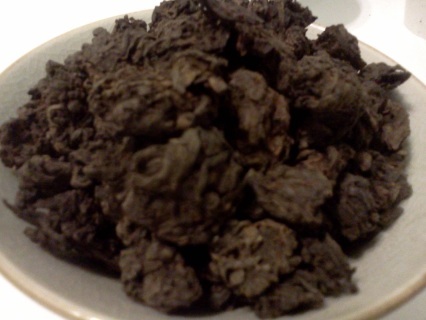 Wild purple leaf tea as rare as the Camellia tea tree will give off only one purple leaf for every 30-50 green leaves. They absorb extra UV rays from the sun to protect the tree, thereby producing an amino acid and chemical profile different from regular tea leaves and considered to be more healthful. Drinking purple tea creates a relaxing, expansive state of consciousness suitable for meditation or socializing. A puerh that inspired a love affair. 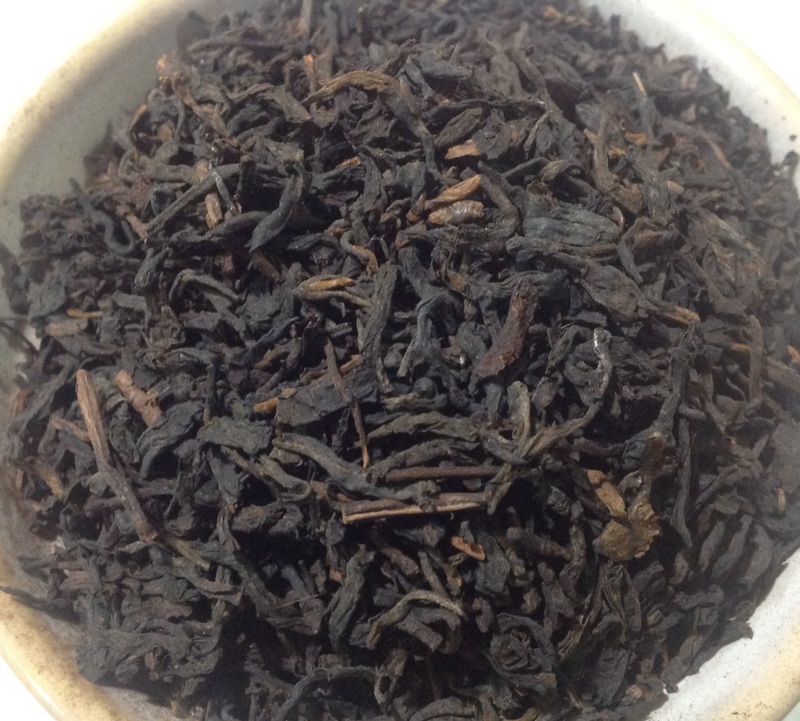 Layered, sweet, and complex in character, with jujube flavor and aroma. Rich and creamy with dry, dark chocolate and walnut notes, and thick tea oils that coat the mouth. 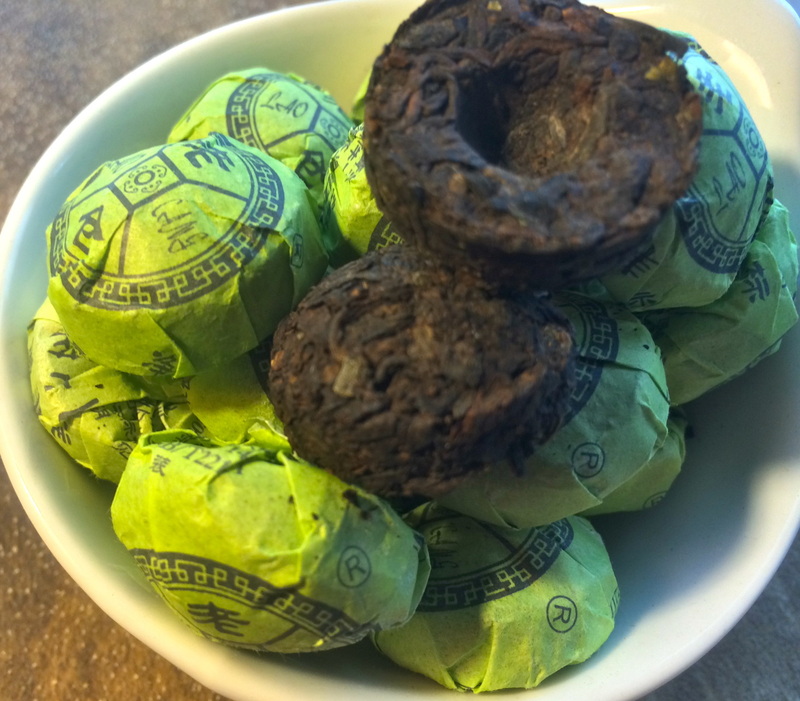 An excellent daily shu puerh sure to impress. 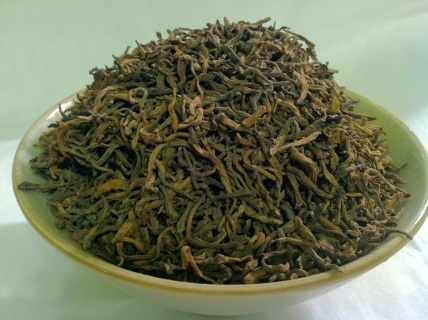 One of our most popular teas. 12 pieces to a bar. 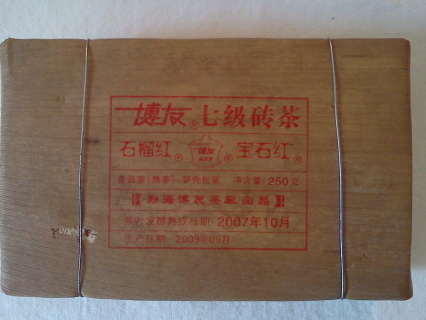 Top grade, Tribute mini-bing made with Menghai materials. Velvety and thick in texture with deep, complex, loamy notes to savor. A collector's item but ready to drink now. Pace yourself with this little guy; start with short gongfu steepings and work your way up - has a lot to give in terms of enjoyment. Rich and earthy, premium grade ripe puerh. 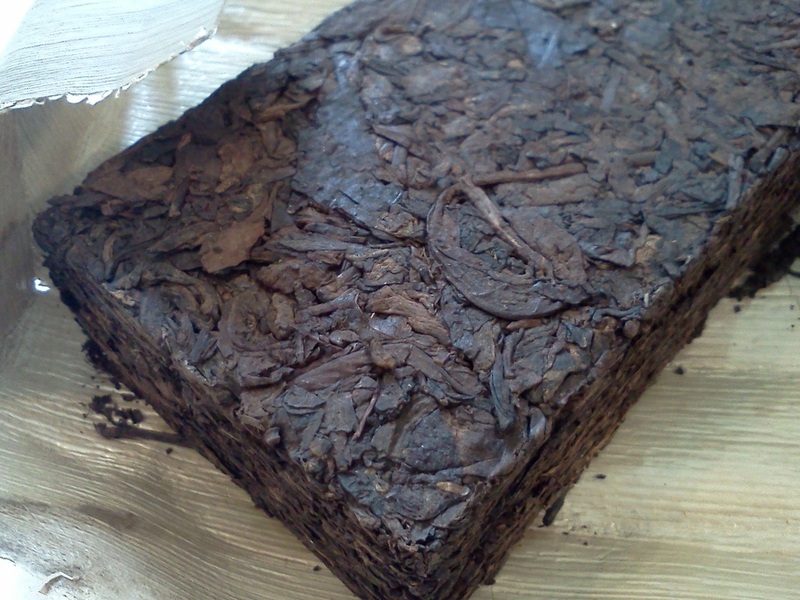 Made with large grade 7 (large) leaves that lend sweetness and complexity. Stored in bamboo wrapping which imparts it's own subtle influence. A rare treat that will provide hours of enjoyment. 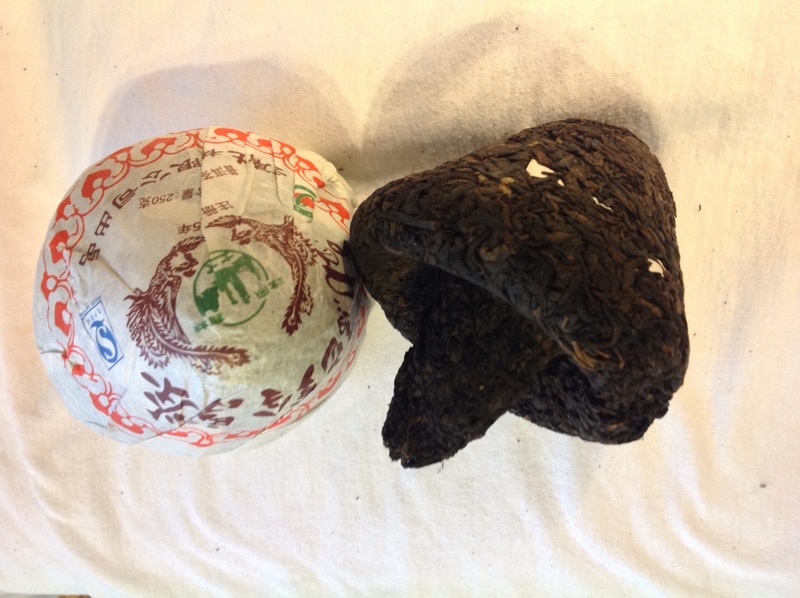 Lao Cha Tou, or 'Old Tea Heads' are found at the bottom of the puerh fermentation pile - the heat and pressure forming small balls of tea that brew creamy, mellow and long. Lao cha tou will give up to 15-20 gongfu steepings. 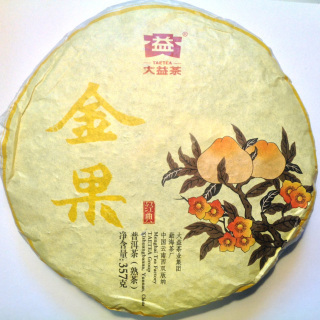 An expertly crafted ripe puerh made from the finest golden leaves. 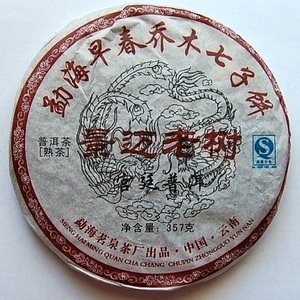 This tea brews a nice burgundy soup which is super smooth, Menghai sweet, silky and full in the mouth, and with lots of tea oils to coat the tongue. 12 year old Menghai Gong Ting or Imperial Grade loose tea. 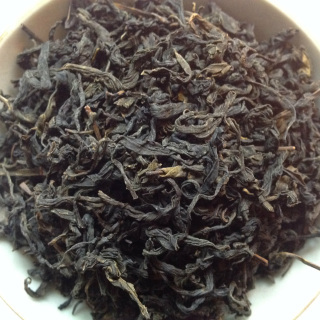 This smallest leaf selection is known as Emperor Grade and brews a heavy, silky smooth ripe puerh with coffee, camphor and bittersweet chocolate notes, with a soothing and relaxing cha qi. Medium body, clear burgundy soup, soft earthy, coffee, and camphor notes with full mouth feel. Grade 5 leaves yield a nice balance of richness and sweetness. From our rare and wild collection. Thick with tea oils upfront giving way to sweet sugar cane and eucalyptus notes. 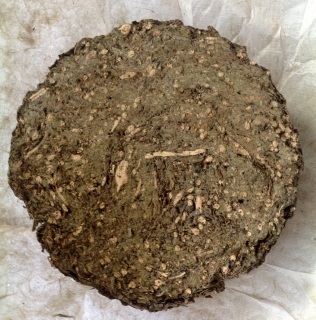 A full half-pound of thick, sweet ripe puerh in the traditional Jin Cha (mushroom shape) favored by Tibetans. 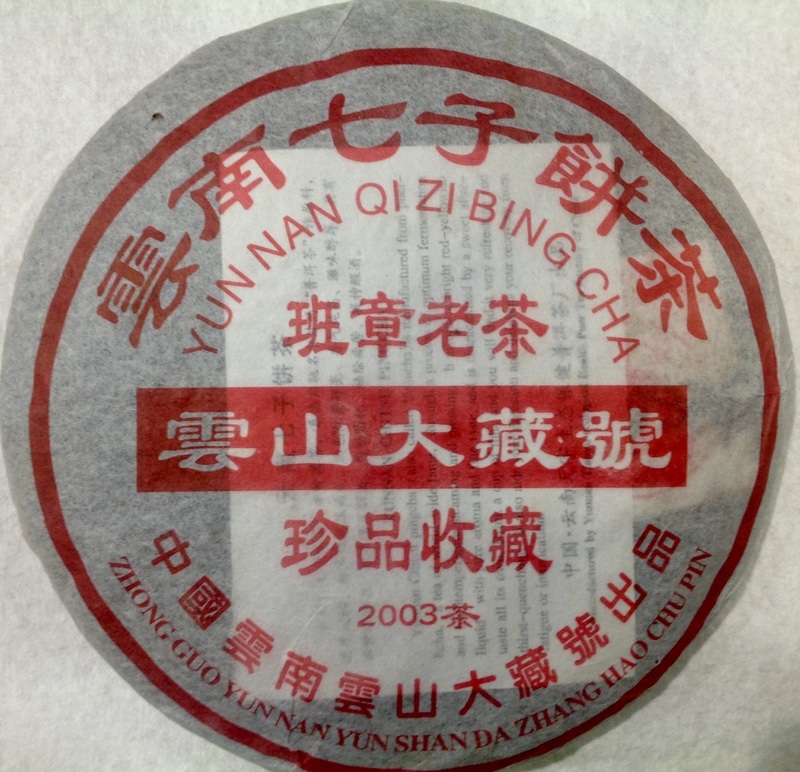 Nan Jian's proprietary blending andfermentation style conjures up nice spice and light wood notes, and a dark burgundy soup. For something a bit different try this delicious old arbor ripe tuocha (birdsnest-shaped) from Wuliang Mountain, Yunnan. A smooth, thick liquor coats the mouth with a creamy, maple-like sweetness. 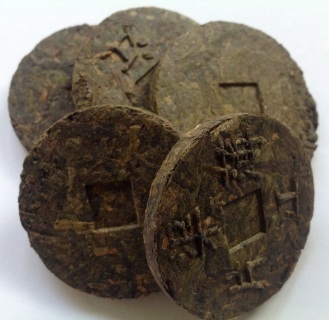 Perfect for thermos brewing or tea by the pot (1 or 2 buttons), this grade 3 whole leaf 5 gram tea button delivers a delicious thick, sweet brew. Premium ripe puerh pressed with San Qii or Panax Noto Ginseng flower thought to be helpful with increasing circulation and treating blood deficiency in Chinese Medicine. 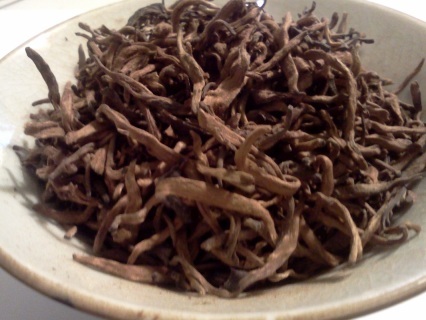 Noto ginseng lends puerh a sweet, almost chocolatey flavor with a hint of bitterness. We are always on the hunt for unusual teas for our customers. This wild, Spring Tian Jian hei cha from Hunan is made from handpicked leaves and buds and slow roasted in traditional style to create a complex and aromatic tea with powerful energy. Dried fruit, floral, tobacco, mineral notes are highlighted. Delicious! 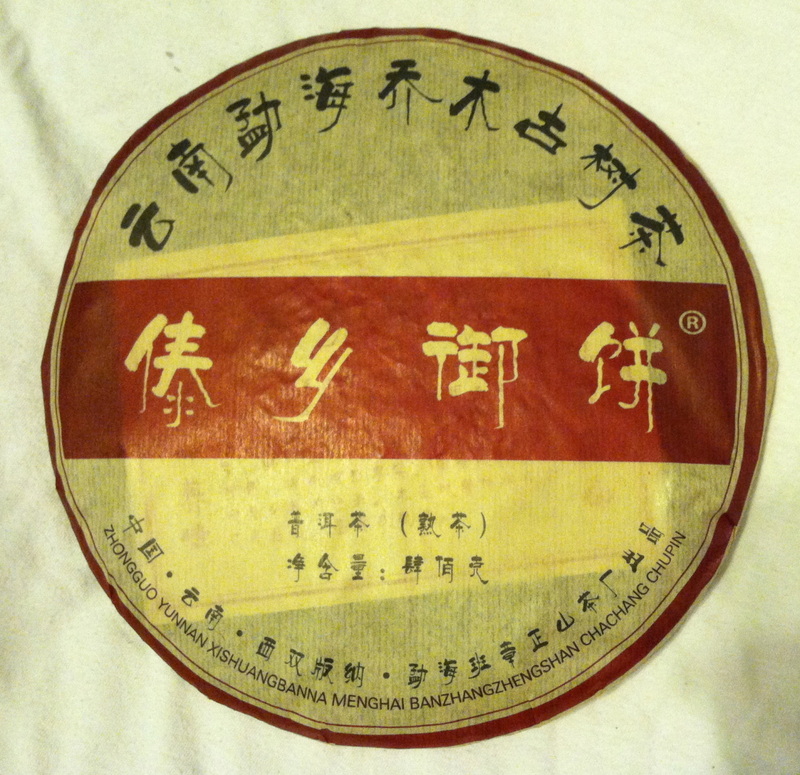 From Guangxi Province, this Hei Cha or traditional, fermented Dark Tea is a "cousin" of Yunnan's Puerh tea (but please don’t compare the two). 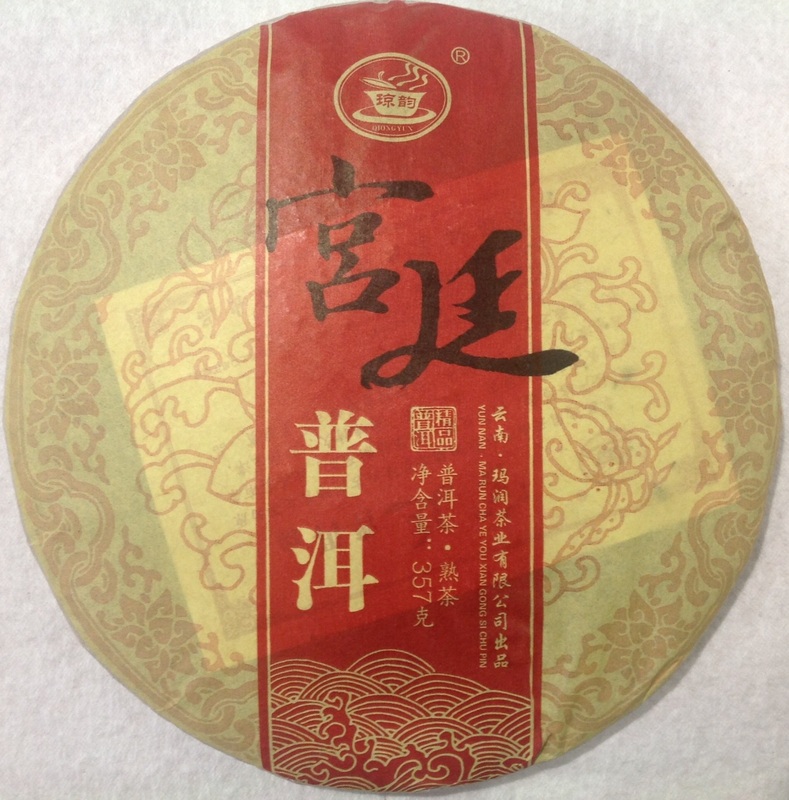 Ruby red broth, smooth, sweet and fruity, it is lighter in character than the more heavily fermented puerh tea. Very refreshing and mouthwatering. Brew with boiling water; like puerh, enjoy multiple steepings. 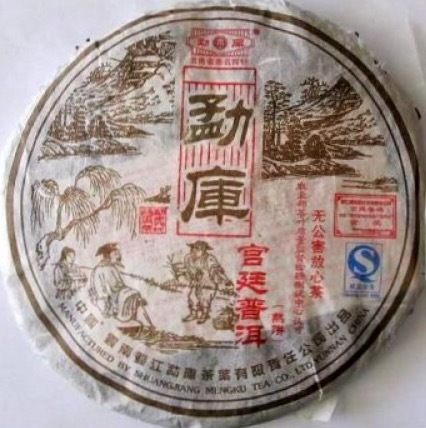 This rare find from Hunan Province, China is a tea of old, re-invented by a researcher who combed through ancient books and visited village folk to save this tea from extinction. Premium materials from the Fengjia and Tianmen mountains are fermented and pressed into coin shapes that brew up a aromatic, flavorful tea. 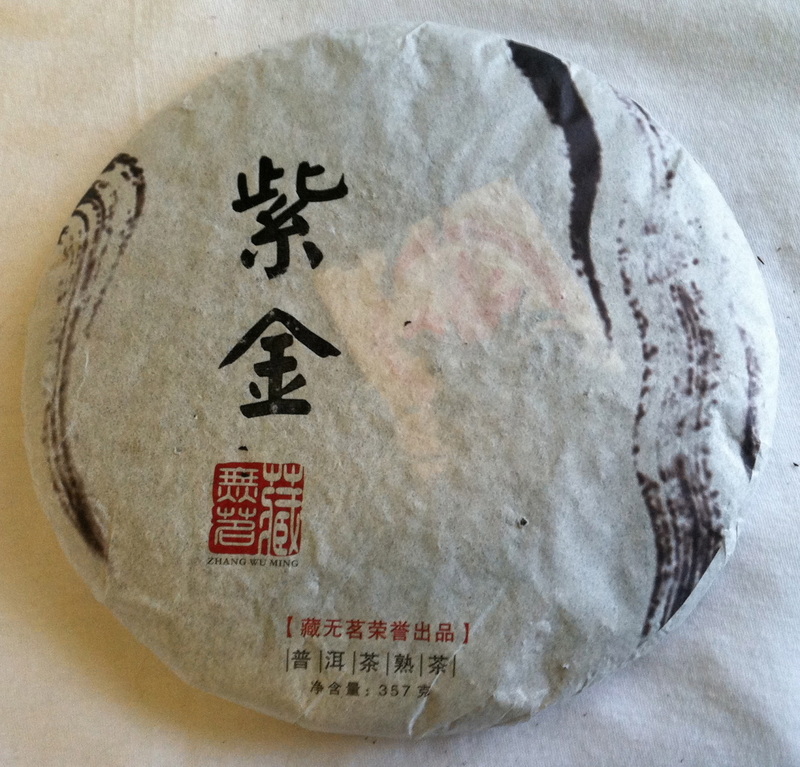 Brew with boiling water in gaiwan for several steepings. 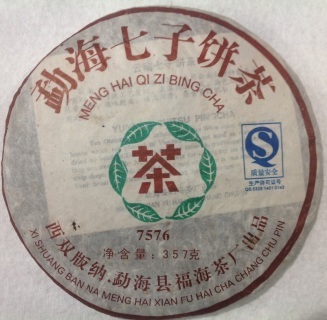 Bai Liang Cha is a traditional Cylindrical compressed fermented tea of Hunnan, also known as the King of Hei Cha. It's yellow broth is full, sweet and nutty, with light herbal and floral notes. 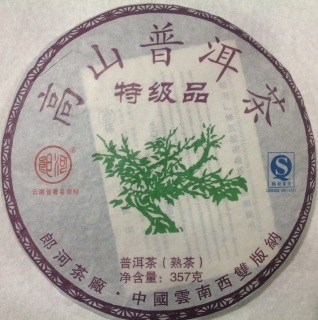 This tea can be brewed for many infusions in a gaiwan or simmered for a time without developing bitterness. We try to bring in unusual teas for our customers and this will not disappoint! Brew with boiling water or simmer the traditional way.